This is my current gig. 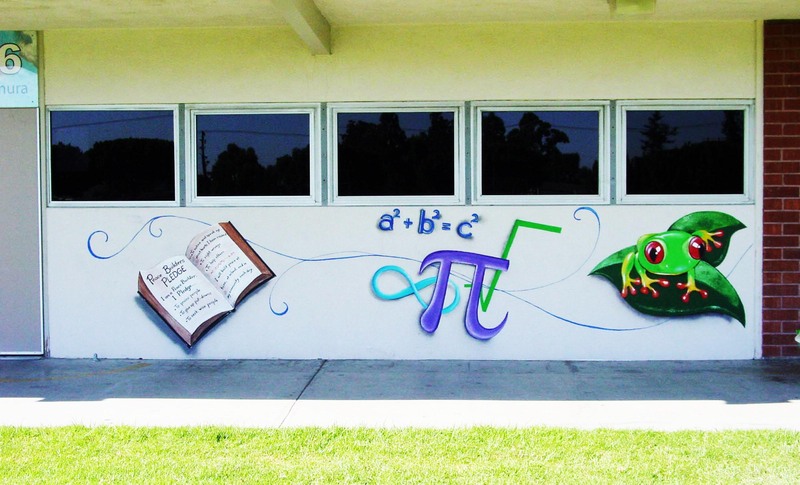 Tetzlaff Middle School mural. I’ll paint on 4 walls and two wooden signs. The book has their Peace Builder Pledge painted. What a dynamic and progressive school. The staff has so much pride in everything they do, it makes me wish my kids were young. Being able to paint this mural has been a real pleasure. Previous Post3D Animation and Lip Sync. Drop the Gun; Call Me a Feminist. Way to go kiddo. I really like this. The frog is Great! Sounds like you are having lots of fun doing it. Im attending this school and I see it!